This week (25 February to 2 March), governors and trustees of schools across England are taking unprecedented action to ask the government to urgently invest in education. 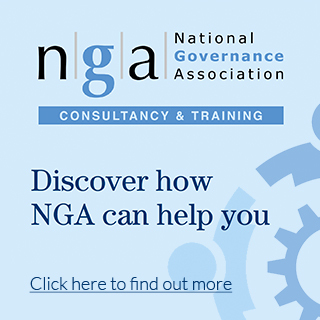 Co-ordinated by the National Governance Association (NGA), governors and trustees from over 120 constituencies are taking part in Funding the Future action which includes a lobby of Parliament on 28 February, and governing boards meeting with or writing to their MP to set out the scale and severity of their concerns about funding pressures and to share their experience of making difficult decisions about how to spend their budget. Governing boards are responsible for the financial oversight of their school, which includes deciding how the budget is spent. Governors and trustees are increasingly reporting the damaging decisions that they have to make in order to balance their school’s budget including cutting the number of teaching and support staff, reducing the curriculum offer and not spending money on essential repairs to school buildings. 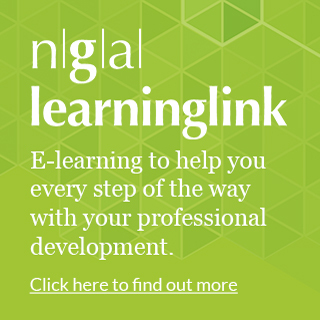 Over three-quarters of respondents to NGA’s 2018 school governance survey said that they cannot manage the funding pressures they face without adversely impacting the quality of education they provide to pupils. According to the Institute of Fiscal Studies, total school spending per pupil has fallen by 8% in real terms between 2009-10 and 2017-18. With a comprehensive spending review due later in 2019, NGA has set out nine asks for the government to meet in order to properly fund schools: these would require the government to increase education spending by a minimum of £3.5 billion per year. Amongst the schools taking part in the action are Hayward’s Primary School in Devon, and Chatham and Clarendon Grammar School in Kent. Hayward’s Primary School prides itself on being an inclusive school, and has a number of children with high-needs. The governing board of the school are backing the action because of the ‘terrible choice’ they face in having to trade-off between being truly inclusive and having only the funding sufficient to provide the basics. They have had to cut 1:1 support and intervention for children with additional needs, reduce the creative arts curriculum offer, and to rely on the PTA to fund an art teacher so that pupils can continue to receive art lessons. As a school in an area of high deprivation, the governing board of Chatham and Clarendon Grammar School are desperate not to cut subjects and to continue to offer a creative curriculum as many pupils from their community do not have access to such cultural opportunities. To sustain this, the governing board has had to make an ‘endless list’ of cuts including pastoral staff (the impact of which is now manifesting in the mental health issues presenting in pupils), freezing pay awards for teachers, not recruiting to vacant posts, and cutting the professional development budget for school staff.